The dish needs something. It’s unfinished. The missing ingredient should possess a nutty, milky complexity, but still be mild, with a touch of saltiness. It must be the perfect complement to a cross-section of other foods and have a texture that will stand up to grating, shredding, crumbling, cubing or slicing. Originating in the hot, arid climate of Sicily, Ricotta (meaning re-cooked) Salata (salted) is made by pressing lightly salted sheep’s milk curds, then drying them for a minimum of three months. At full maturation Ricotta Salata takes on a firm, dry texture, but somehow maintains the unique milky freshness of its younger identity. Known for its incredible versatility, this rindless, white pecorino closes the gap between tasting good and tasting great. 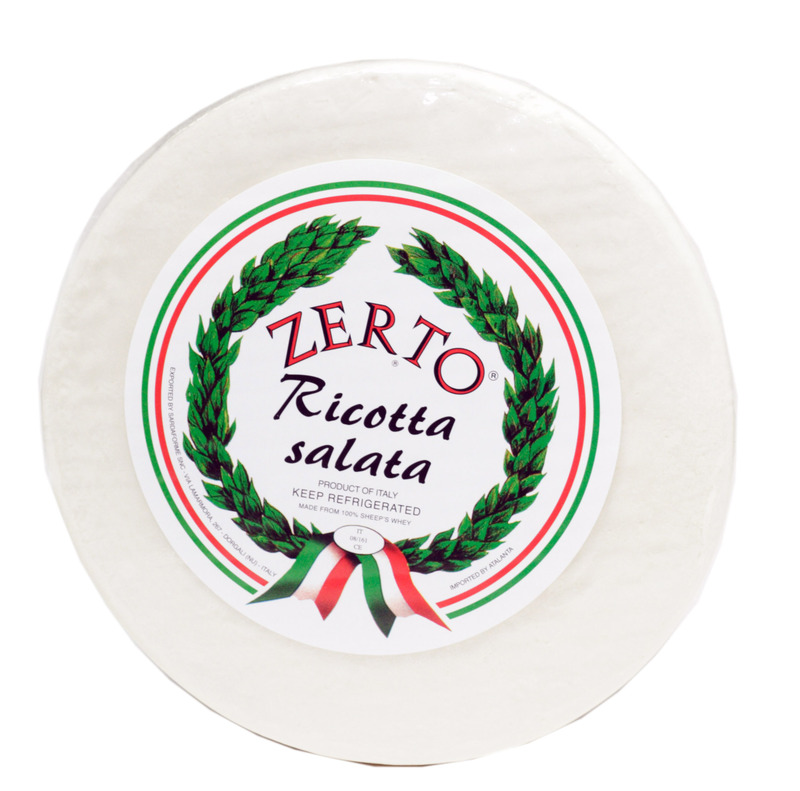 Application: Most often used in salads and pasta plates, Ricotta Salata proves essential in a limitless number of dishes. Shred over grilled vegetables, crumble into soups and sauces, grate over potatoes, incorporate into eggs, cube for antipasto, slice for burgers and sandwiches, even add to fruit salads. Pairing: For a white wine, try a Pinot Grigio. The touch of sweetness works well with salty qualities of Ricotta Salata. For a red, try Primativo. The cheese will enhance this Southern Italian wine’s fresh berry character. 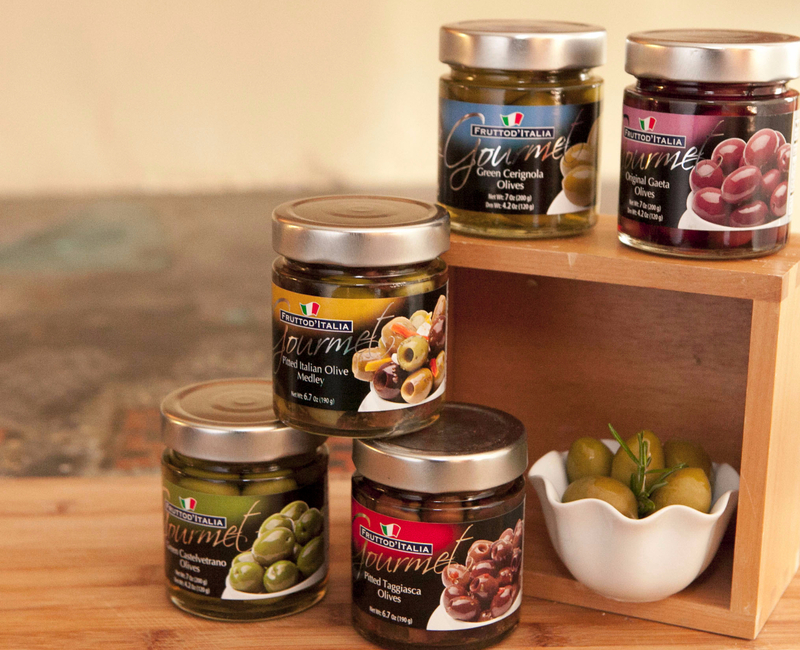 Taggiasca Olives are incredibly well rounded, within their little oval spheres. These small, rose-black Italian delicacies have a divine, delicate flavor and a soft texture, while thrilling with their intense aroma. By providing such a party for the senses, Taggiasca Olives have become known as one of the best table olives in the world. Taggiascas are grown in the beautiful coastal region of Liguria in Northern Italy and named for the Taggia countryside, where they were first cultivated and introduced by a group of local monks. According to tradition, Frutto d’Italia Taggiasca Olives are naturally tree-ripened and picked by hand, then pitted for convenience. www.cheeseoftheday.com Join our social networks! Copyright © 2015 Atalanta, All rights reserved. If you'd like to stop getting these emails, you can unsubscribe from this list.